This Years Summer Break Started With A Bang! My summer leave from work did not start so well as I was knocked off my motorcycle on the way home from work back in July. I survived with a few aches, knocks, bumps and bruises but never the less was fortunate not to get too seriously injured. The bike however was a right off! A real shame as I have looked after my Suzuki Bandit for 12 years and it was an absolute minter. 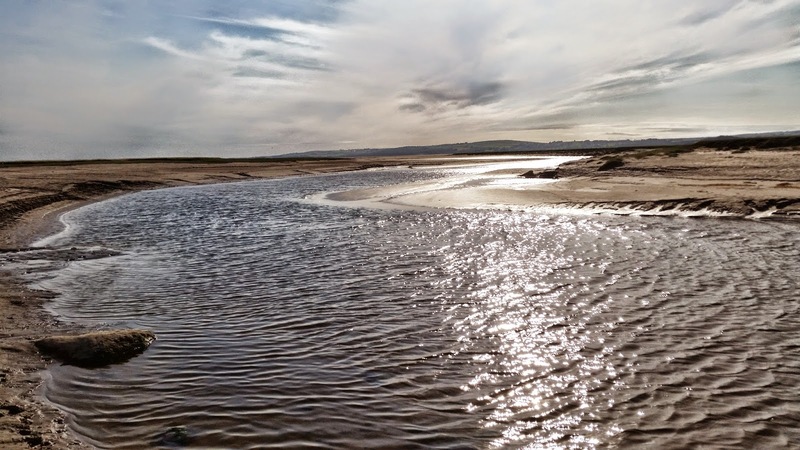 As you can imagine I have been feeling stiff, sore and fed up with myself and my usual happy holidays was not quite as happy as it should. With this in mind my better half told me to go out and buy something cool to get my mind off of things, so I took her advice and came back with a new vehicle. 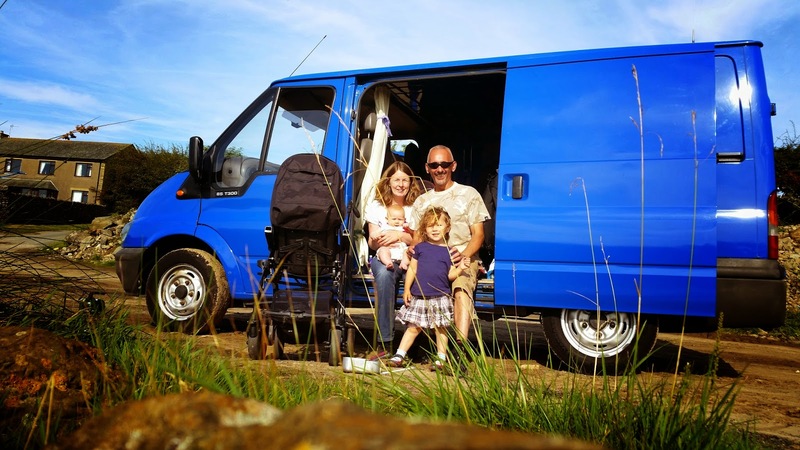 I chose something that would benefit the family as well as myself and with this in mind I got a Ford Transit Van. 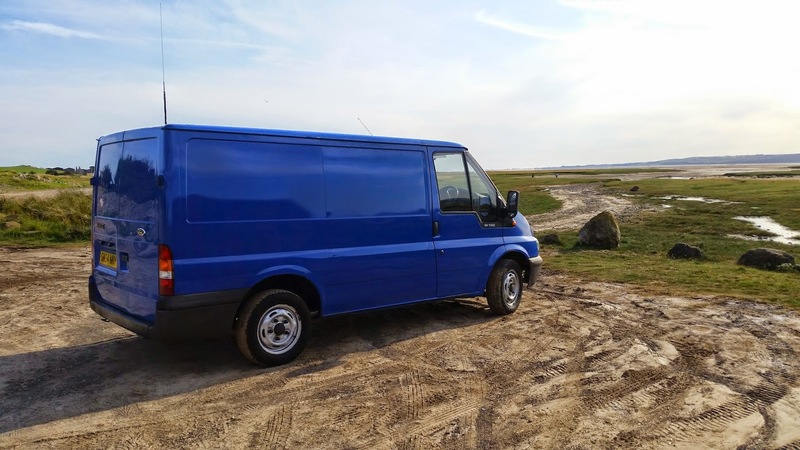 The reason why I chose the Transit was because its a good size of vehicle to be able to convert into a day van/tourer and the Transit van has a good reputation for reliability as well as economy with a 2.0 litre turbo charged diesel engine. The conversion so far has gone well with a flying start thanks to my old CB pal Kevin aka "Tom Thumb" whom I first met on the CB back in 1981. Kevin has always been a good friend and he has been helping me out since my motorcycle spill. He is a gas engineer by trade and a dab hand at too many things to list, he also has a fully converted Transit which is very nice indeed. 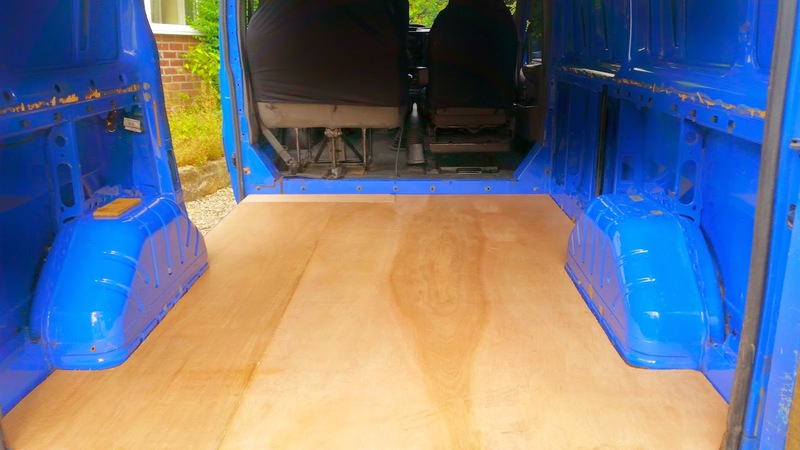 With his help we made an immediate start on my new van which involved ripping out the original board and racking, replacing it with acoustic sound proof cork, fresh timber and some warm carpet. 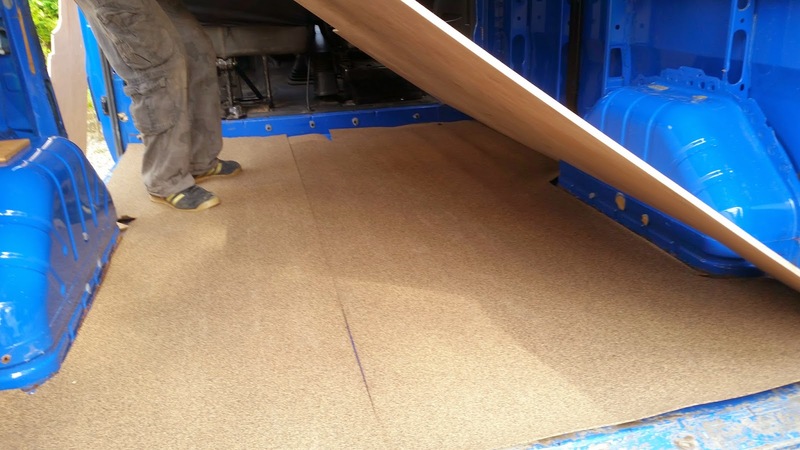 Sound proofed as well as insulated before the sheets go down. A nice base to start things off with! 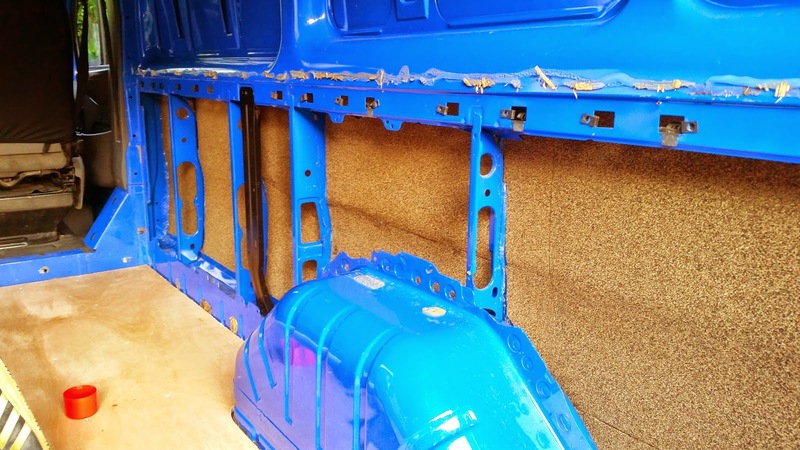 Insulation and sound proofing into the sides which will keep things warm and snug in the back. 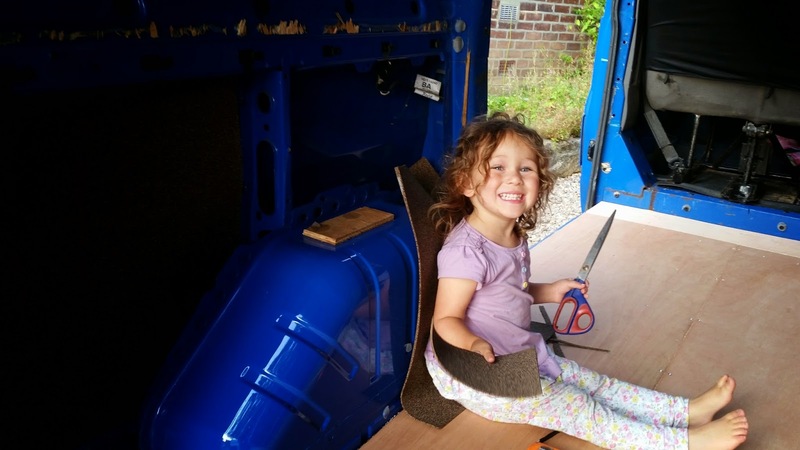 Elsie is well impressed with her new "camper" so much she was so keen to help, under strict supervision with the scissors of course. 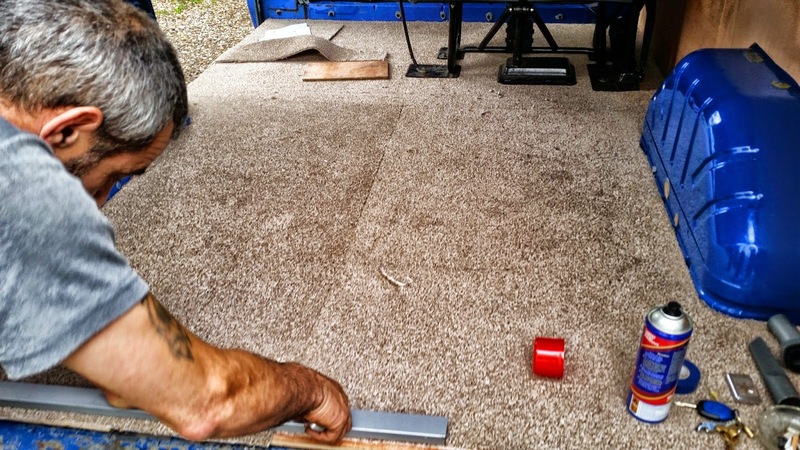 Kevin putting in a good days work as he finishes laying the carpet, very nice indeed Thanks buddy! 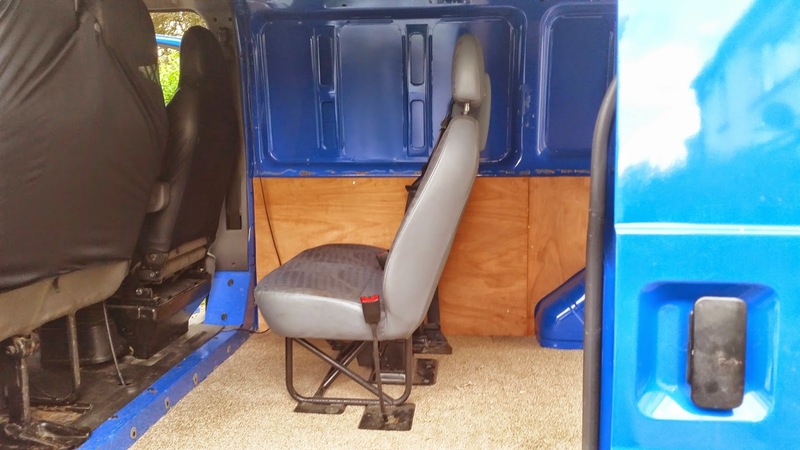 My turn now, I grabbed a bargain from ebay which was the seats pictured below for my beautiful girls Elsie and Martha, which I fitted with the assistance of my welding equipment and workshop skills. Finally, well until the next stage. 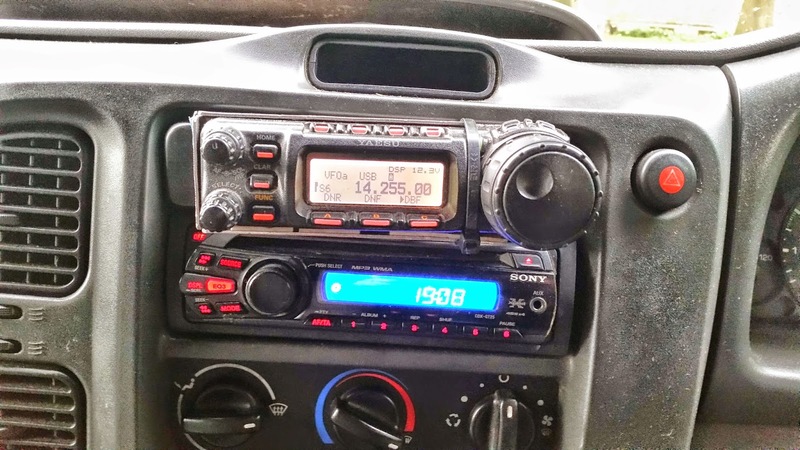 I fitted my YAESU FT-857 Transceiver using the separation kit and home-brew bracket out of my Toyota which is now My YL Louise's new wheels of steel. 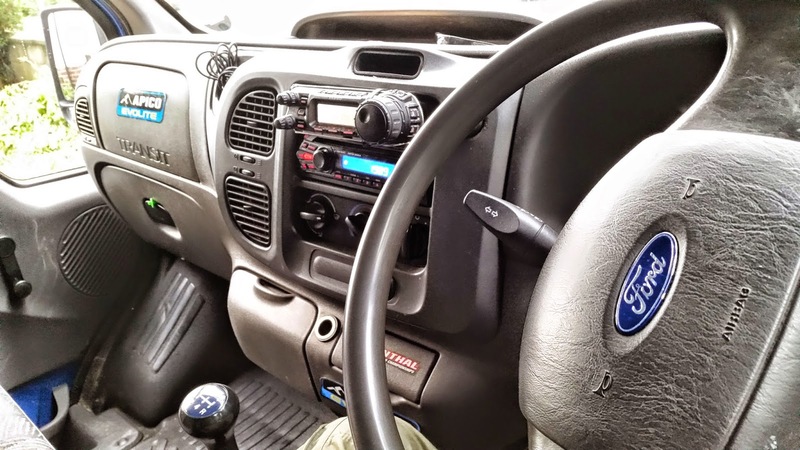 A close up of the dash mounted mobile YAESU radio in my new van. Off we go on our travels in our new DX Machine keeping reasonably local for now and yes I am feeling a lot happier and my injuries - stiff neck, back and a bashed knee are getting better day by day thanks to the physiotherapy sessions arranged by my motorcycle insurance broker,who is doing a good job for me so far. The view isn't too bad either! Happy days are ahead for sure for all of us as we all enjoy our new vehicle and the rest of the summer holiday. So far the performance from the Ham radio DX Machine has been good as I have made some good radio qso's from the newly installed equipment. I made a video below showing the Ham equipment working and it also shows the antenna set-up that I am using with my FT-857. 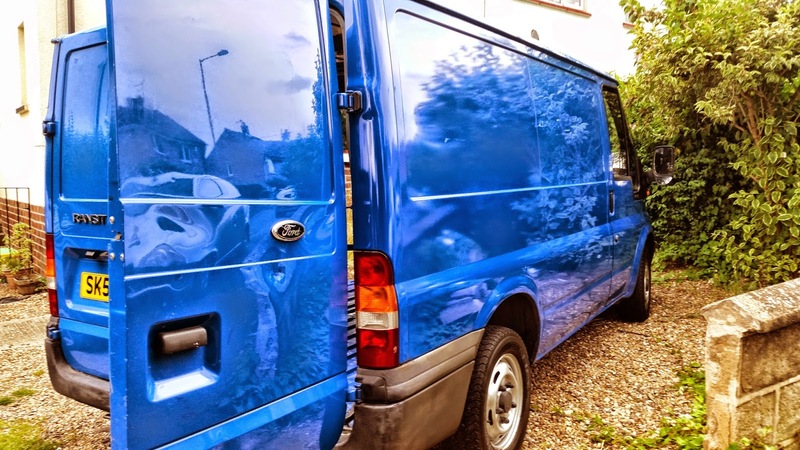 The next stage of work on the van will be getting the side panels out and some nice privacy tinted glass in which will enable a better view in the back. I am also on with designing a pair of rear benches which will incorporate storage area and also be able to change into a bed. Stay tuned for more.... & best 73 as usual!